Imagine's stature can be practically categorized as harmless. Her physique is on the smaller, more lithe side; meaning that she can vigorously dart to several locations if necessary. Her svelte frame can easily slip under the radar, making her a great ally on a team to get to any desired spot. The coat that she acquires is a mixture of multiple grey hues, dappled with obsidian pigments throughout the coat, with her tail dotted ivory. Her visionaries are a piercing yellow color, with a cream center around the pupil. Her appendages appear short, but her long term stamina makes her move briskly. 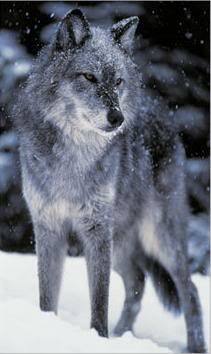 Affable~ Imagine's easy going attitude makes her an easy wolf to approach. Her carefree vibe is enough to make any uneasy wolf more comfortable in any situation. She absolutely loves to get to know wolves, and wants to be more accepted and a part of any situation. Despite her consistent attempts at being friendly and talkative, it can grow aggravating at times when she does not stop her babbling. Timid~ Although she usually obtains a friendly attitude, she can grow very tentative around several wolves she grows wary about. 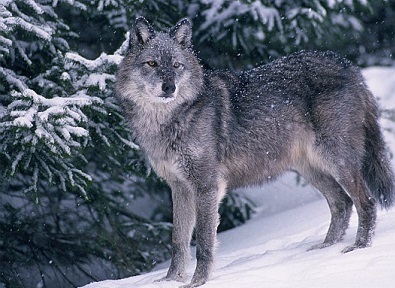 Immediately on first approach, she analyzes the specific wolf, deeming either him/her if they're open to trust. Growing up paranoid, she tries to believe that all wolves are kind, caring individuals; however, based on past encounters, she has learned that the majority are not. Thus, deeming her timid, submissive side. Curious~ Intrigued by the world and everything in the nearby vicinity, Imagine wants to travel everywhere. She is usually one of the first to check out something, wanting to know what is going on. Her curiosity can be a weakness, however, as she tends to get her nose stuck into other wolves' business, thus getting her into a lot of trouble. If she is ordered not to approach, she will follow the order and not get in the way entirely. Stubborn~ With any given situation, Imagine wholeheartedly wants to be the one in charge. If something goes horribly wrong, she tends to blame the responsibility not on herself. Her snarky attitude isn't usually noticeable, but when any questionable events occur, she can get extremely stubborn and want the event to appeal to her liking. Placid~ Imagine is usually characterized as being calm, carefree, and at peace with the world. Even though her stubbornness may appear once in awhile, she does absolutely try her best to be peaceful first. She wants the situation to be right, and, although she won't admit it fully, to go her way. She can deceive and passive aggressively change the situation, all the while maintaining her placid ways. Tease~ Imagine can be on the flirty side; mostly in the appearance of the opposite gender. She usually will not openly flirt, only subtly show it through smaller actions to gain the attention of another. Secretly she enjoys being flirtatious, but when questioned, will deny any fact that she was. Imagine was born into a larger litter of six pups, being the runt. She wasn't fully treated differently; sometimes her siblings would tease her for being on the short side but would be welcome about the situation. Her childhood wasn't wholeheartedly depressing; there were obvious ups and downs. However, as she grew up to be around a year and a half, an abrupt, fatal disease took her two loving parents and two older siblings. The four remaining pups tried to band together but failed as the eventually got separated by the frigid winters. Eventually, she gave up trying to locate the other siblings, and eventually stumbled upon a place with several "factions", thus being initially accepted by those wolves in Amity. To this day, Imagine does not know the fate of her three older siblings, and secretly hopes to maybe find some sort of clue for their return. Likes~ Her ability to be agile and light on her paws, polite conversation, (secretly) flirting/romance, easy conversation, integrity, and friendliness in general. 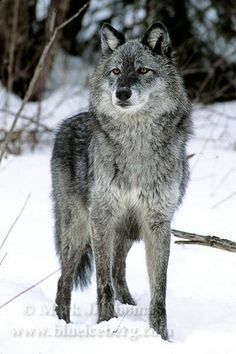 Dislikes~ Wolves pointing out obvious flaws, Arrogant, selfish behavior, being ignored or put aside, being lied straight to her face, obvious complaining when the situation can't be currently changed, and being left out. Crush~ None at the current moment, may change. Relationship~ None at the moment. Foes~ Hopefully not a lot! She's beautiful, Darl! Hopefully in the near future, our characters shall meet. D'awww you're too kind, my dear. Thanks so much! Hope to get to know everyone better! Very impressive Imagine. It will be very enjoyable to role play with this interesting character. Well done.